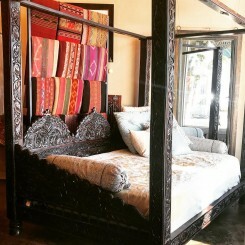 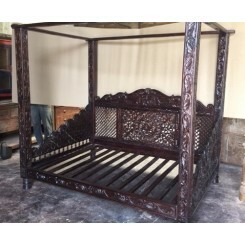 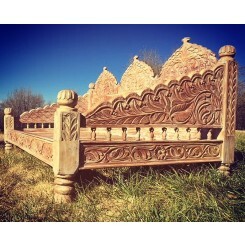 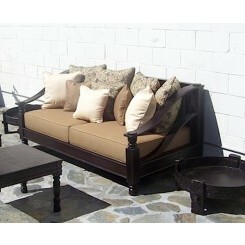 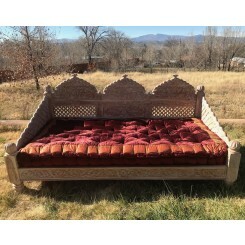 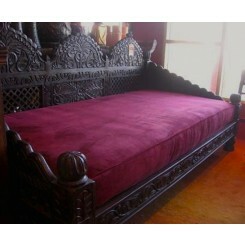 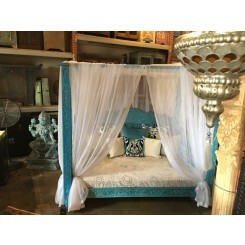 Hand Carved Lotus Daybed, Dark Finish, 88x46x36"
Transform your living room into a royal court with low Indian style ottomans inspired by the Diwans of the Mughal Era. 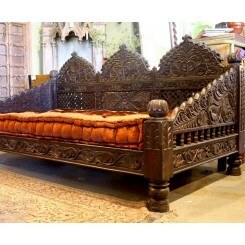 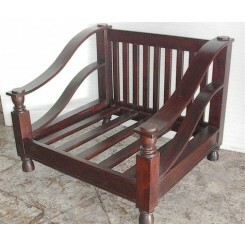 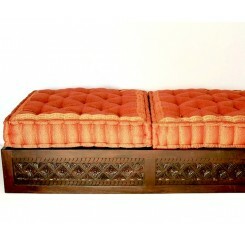 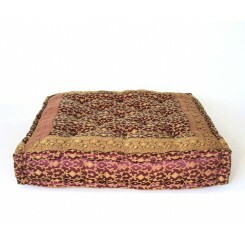 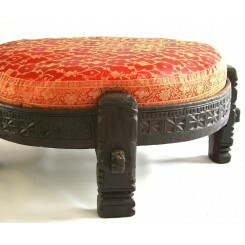 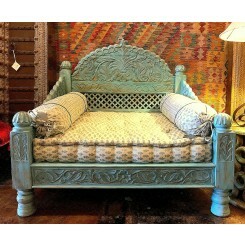 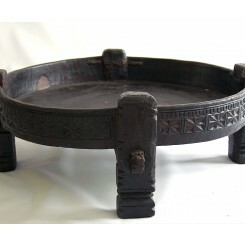 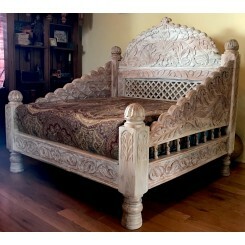 The traditional Jhula day beds and seats, fashioned from solid Indian neem wood, are truly a masterpiece of craftsmanship. 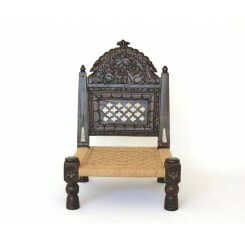 The Jhula seating line features a triple arch carved back, with wooden lattice panels and carved arms, designed after the Rajasthani swing benches. 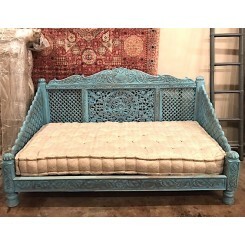 A glimpse of Moroccan inspiration can be seen in the Diamond Carved Ottomans and Diamond Sofas, with clean lines accented by an original carving design. 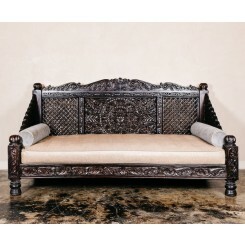 Solid construction, comfortable reclining back, and angled arms make the diamond carved sofa the perfect living room furniture for every day use.